We’ve been lucky enough to appear on 4 different shows and each process has been different depending on the show. It always seems like such a blur in the moment because there’s so much going on, so many nerves and all the while, trying to speak like a normal human being. 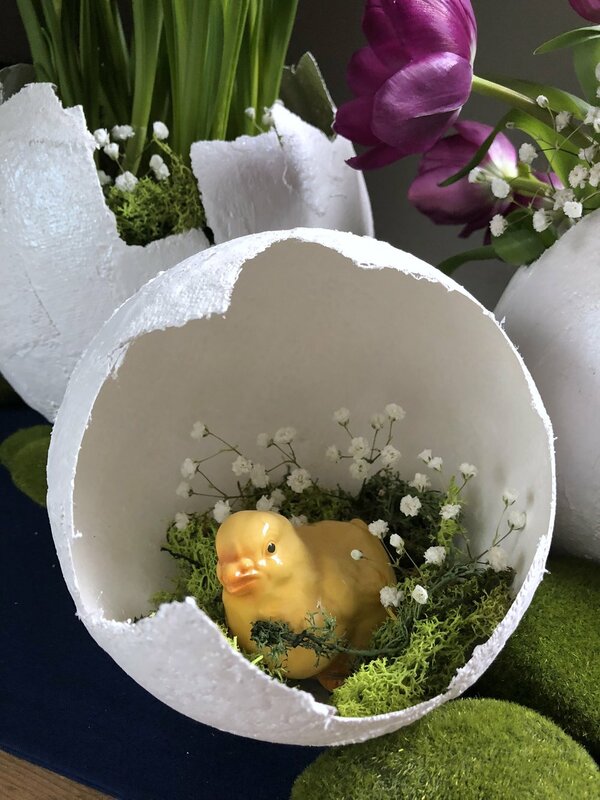 We thought it would be fun to share our process leading up to the show and of course, the plaster egg tutorial! For The Chew, the producers reached out asking us to pitch Easter craft table scape ideas. We sent about 10 different ideas and they narrowed it down to two crafts that fit the episode best. It was our job to prep the crafts we were demonstrating. They asked us to have prepped materials for each of the host and ourselves as well as any swap outs. Swap outs meaning parts of the project that are time consuming or need time to dry. Our apartment looked like a factory! We had balloons rigged everywhere to dry. 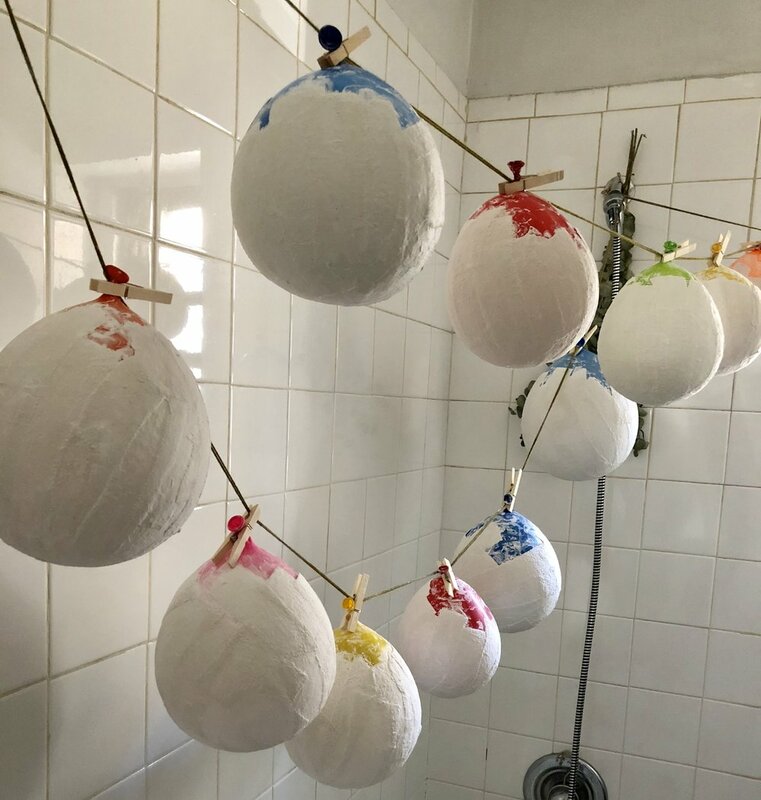 We made a total 18 eggs in different stages for the show! And yes, we traveled all 18 from Queens to Manhattan. Only in NY! The night before the show taped we met with the producers and set up for the segment! We had a quick rehearsal in the morning and then we taped! 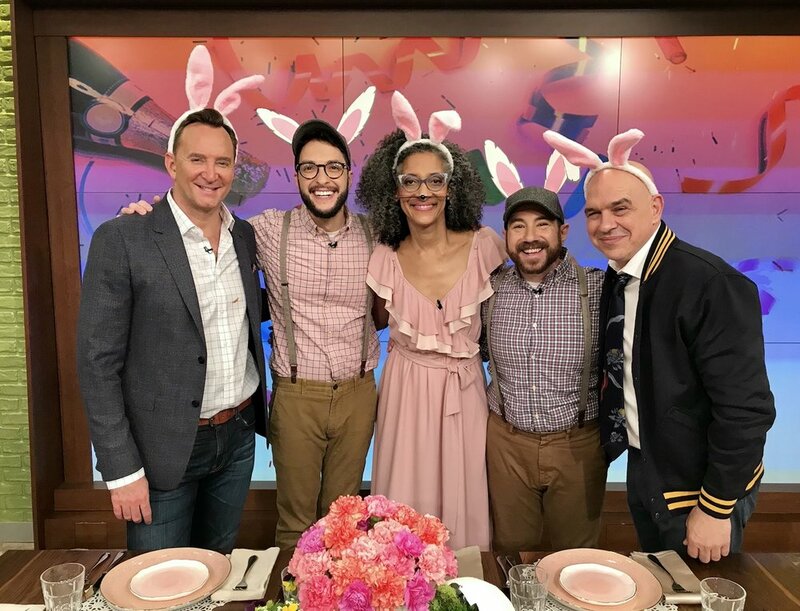 The Chew was a very well oiled machine with with nicest crew! It’s insane how many people work on these shows and how hard everyone works. We’re still sad the show ended, but what an awesome, incredible opportunity we had! 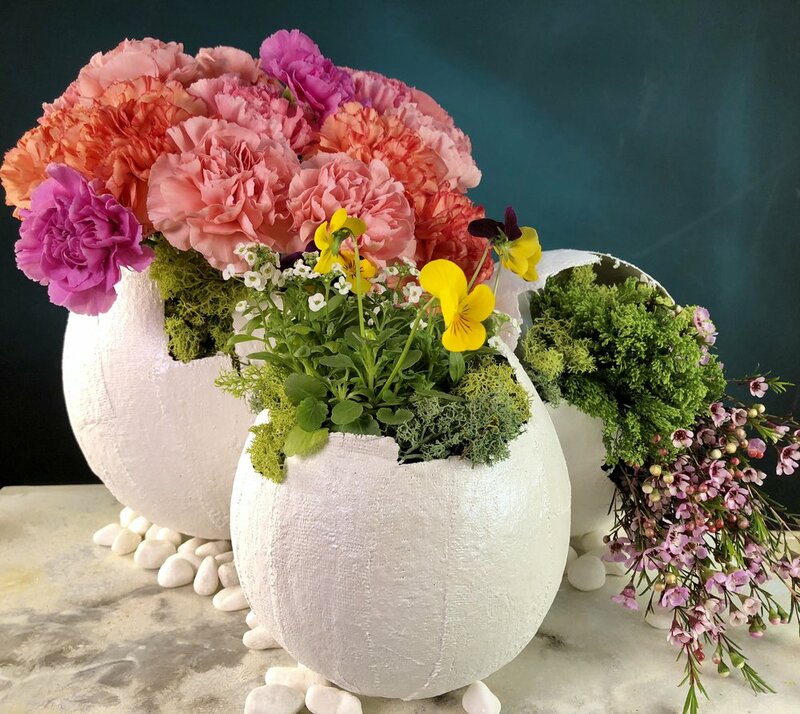 Use plaster strips and a balloon to create large egg vases and terrariums! Blow up balloon to desired egg size. Cut plaster bandage into smaller strips. Dip plaster bandages into water, squeeze out excess water. Wrap bandages around 1/3 of balloon slightly overlapping each strip. Pop balloon and use scissors to cut edges to look like a cracked egg. Speckle paint or add glitter to the outside of the egg. Carefully place a vase full of flowers or a potted inside the egg. Add small rocks around the vase to keep it steady. Make a “nest” around the vase, with plastic bags to help keep the vase/pot from spilling over. Add small rocks to the base of the eggs for added stability. Watch how it all came together on the show! We had an egg-cellent time! It was a dream come “chew”!